If you have a flexible lifestyle, a decent amount of money then following a cricket team is a brilliant way to see the world. One of the reasons is that cricket matches are usually held in a wide variety of interesting and exciting countries. Furthermore there’s no better way to get a know the country and it’s people than a shared passion for one of the most popular sports in the world. 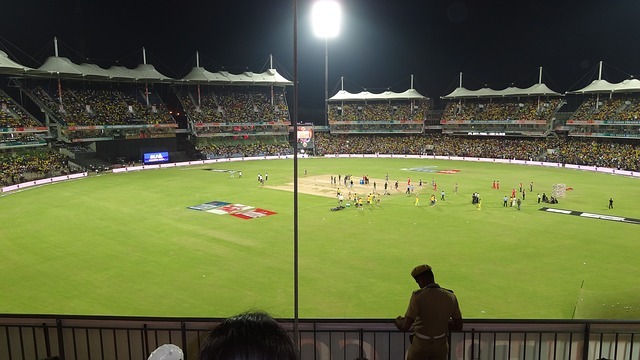 Cricket is one of those sports where fans hold almost no hostility towards each other. If you’ve visited an international cricket game you’ll see fans laughing, joking and enjoying themselves together. A cricket game is often as much as a social event as a sporting one, and the atmosphere will almost always be friendly and fun even in things like Ashes matches. Especially for a solo traveller following cricket matches is a fantastic basis for visiting some of the most interesting places in the world. From India to Australia, from Pakistan to Sri Lanka there are some great places to visit and of course sometimes great cricket matches to watch too. However for many people, one of the mst important aspects of enjoying their cricket particularly for the English fan is the traditional coverage. Now I’m not talking about the fancy, high tech TV coverage on the major networks like Sky and Channel 4 but something a little more old school. That’s right for many of us, watching the English cricket team isn’t complete unless we have the sound of Test Match Special in our ears. Indeed for lots of cricket fans, the commentary is at least as important as watching the match and often more so. This used to be freely available on the radio but in recent years due to licensing and copyright restrictions it’s actually quite difficult to enjoy it from outside the UK. However there are solutions and you can find one of them here – How to Listen to Test Match Special Abroad. It uses a method of hiding your real location to ensure that you can listen to TMS irrespective of your location. It’s not complicated to do and despite what some people say it’s completely legal. You certainly aren’t forced to search on the dark web for a solution that you pay for using cryptocurrency! All you are doing is hiding your real IP address and making it to appear that it’s in the UK. That’s all there’s nothing shady and you’re using completely legitimate software that’s freely available from a myriad of sources online. Indeed one company now offers it’s services and actually advertises on TV I noticed before the England vs Sri Lanka Test match.